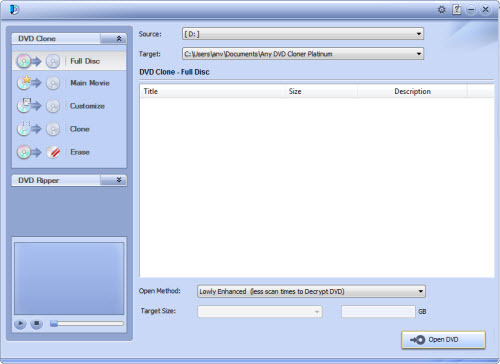 Any DVD Cloner Platinum is an ultimate solution for DVD copying and DVD conversion. Any DVD Cloner Platinum can copy ANY DVD to DVD with 1:1 ratio, copy DVD to hard drive as DVD folder or ISO image file, shrink DVD-9 movie into DVD-5 movie. Any DVD Cloner Platinum can also convert DVD to video formats including MP4, MKV and M4V, convert DVD to MP4 videos playable on iPod, iPhone, PS3, PSP and Xbox 360. 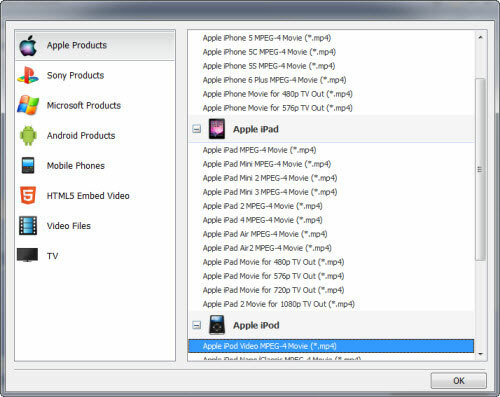 Either for DVD copying or for DVD to video conversion, you can select any title, chapter, language and subpicture. Any DVD Cloner Platinum helps to safely back up your entire DVD collection and let you watch your favorite DVD movie on the go! 7) Target Size: DVD 5 (4.7G), DVD 9 (8.5G), Customize can be selected.